Intrada kicks off 2019 with a 2-CD set showcasing James Horner's stunning, Oscar-nominated score to the Universal Pictures film Apollo 13. The film was nominated for nine Academy Awards, winning for Best Sound Mixing and Best Film Editing. The film recounts the harrowing true-life story of the Apollo 13 mission that fails when an oxygen tank explodes, crippling the command module en route to the moon. The astronauts and Mission Control desperately team to prevent the capsule from drifting off into space or burning up during reentry. 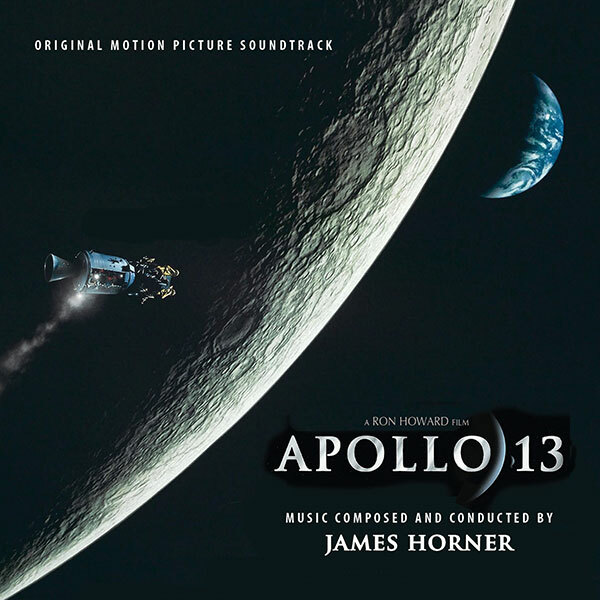 On film, the Apollo 13 team had composer James Horner along for the flight to envelop the audience in the astronauts' dire circumstances and hope for a safe return to earth. For this tale of quiet nobility and brilliant professionalism, director Ron Howard agreed with Horner not to turn Apollo 13 into an action movie, but convey patriotism and the American spirit instead, giving the score a majestic, sometimes ethereal soul. The main theme is correspondingly elegant, particularly when rendered with virtuosic grace by trumpet soloist Tim Morrison. While the astronauts triumph in what seemed certain disaster, their mission ultimately failed – a juxtaposition Horner musically captures with the haunting vocalize of Scottish singer-songwriter Annie Lennox. At the time of the film's release, MCA released a concept album featuring period vocals, dialog and portions of Horner's score interspersed throughout. Horner had prepared a 59-minute score-only presentation for release, which was the original intent, before it morphed into the concept album. Nonetheless, MCA pressed up a limited number of promotional copies for Oscar consideration, featuring a black-and-white version of the cover. For this new edition, producer Mike Matessino accessed the 192k 24bit high-resolution transfers of Shawn Murphy’s original mixes on 1/2” tape, with all performance edits meticulously recreated. Disc one features the complete score, with the synthesizer tracks in a suite after the main orchestral program, while disc two recreates the original 59-minute program Horner had originally intended. Special thank you goes to Universal Pictures, Universal Music Group and Imagine Entertainment for making this release possible. TALK ABOUT SOMETHING AMAZING, IT JUST LANDED HERE AT INTRADA! He composes some of the best movie scores out there.